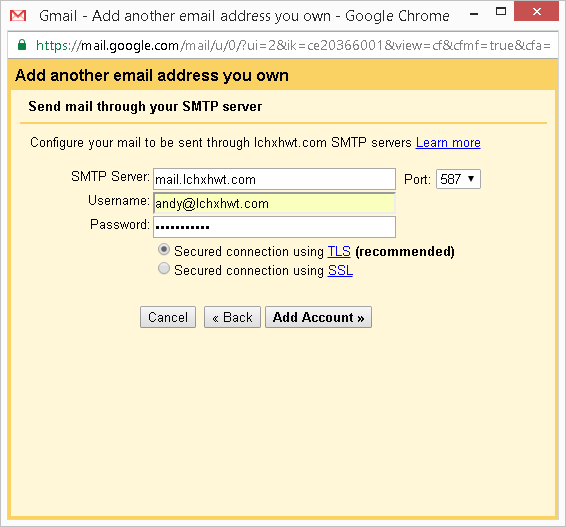 Connect another email account in Google Gmail (Personal) account you may need some information. A functioning Google Gmail personal account. A normal POP3 email account, including username, user password, mail server setting. Through Google Gmail import another POP3/IMAP email account and manage email in Google Gmail (personal) account. 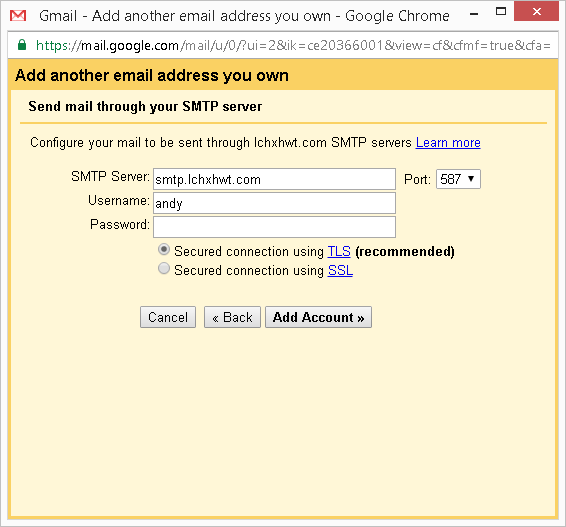 It can prevent missing email when forward email from other email account to Google Gmail SPF blocked by Google Gmail’s anti spam soft ware. 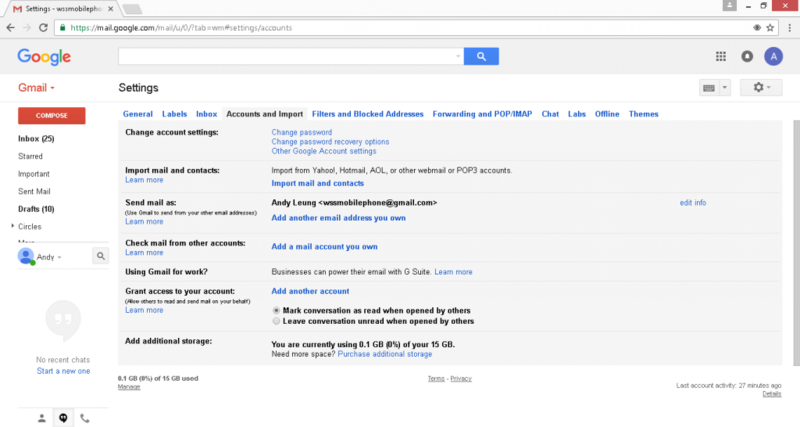 In the following, we will go through step by step to show you how to connect another email account in to Google Gmail (Personal) account. 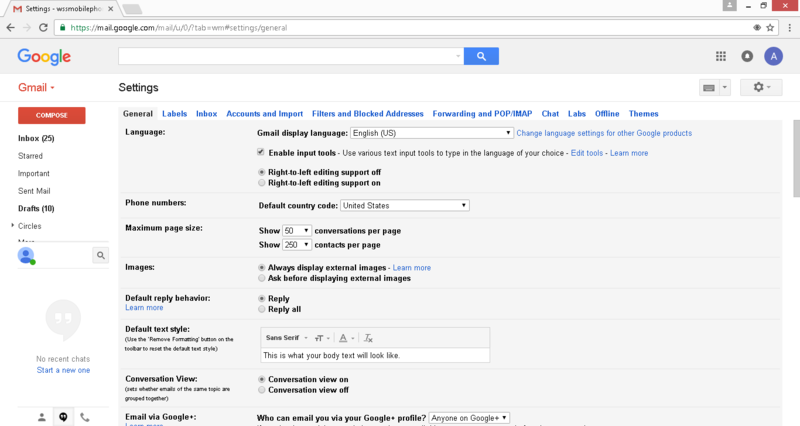 Go the the google home page, click on the word “Gmail” to access. Here are the page to login Gmail. 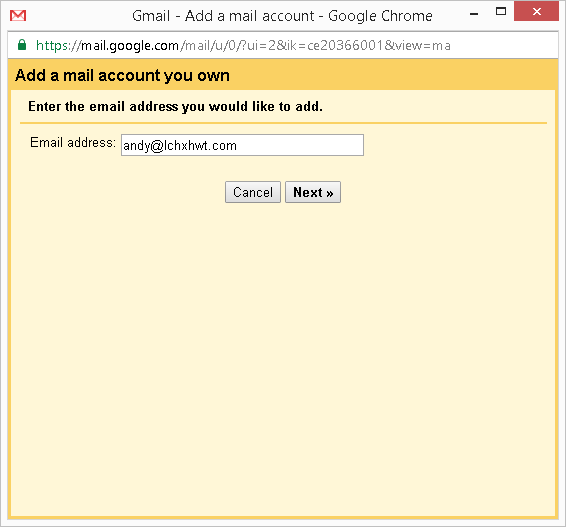 Please fill in your Gmail user name and password to login. Once you login success, you will have the following. Here are the setting page. 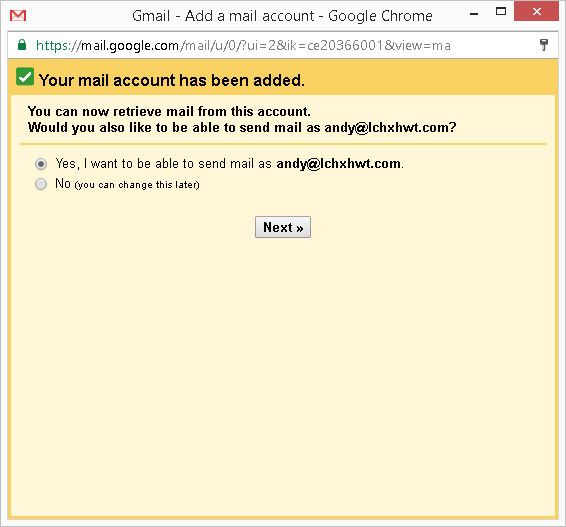 Please click on the “Accounts and Import” and chose “Add a mail account you own” in Check mail from other accounts. 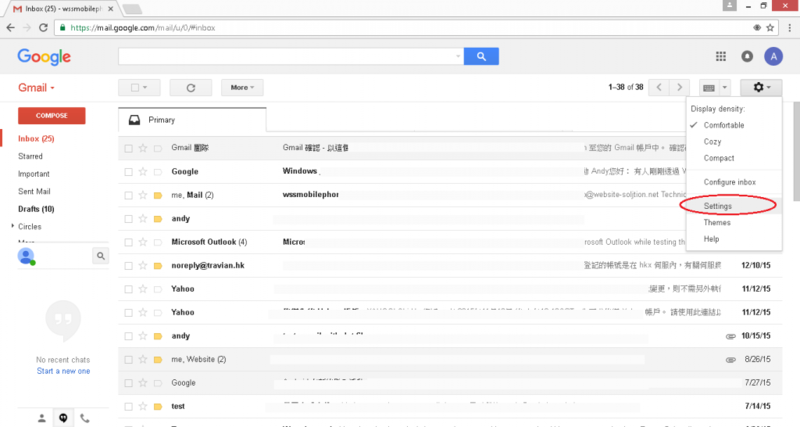 Now we are going to put in the information to the setting page. 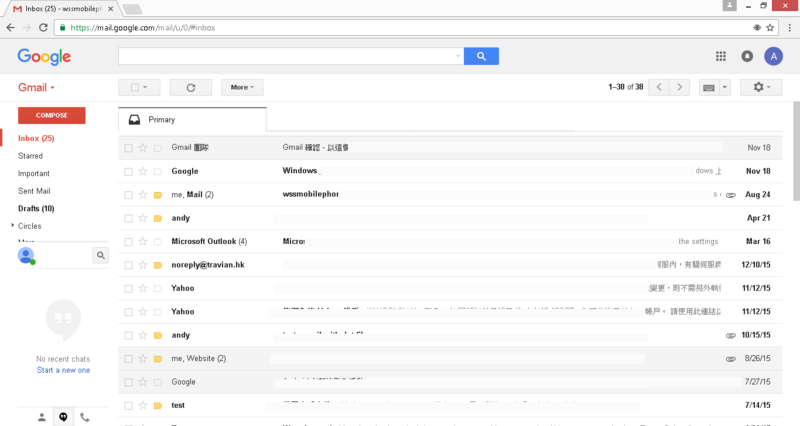 Once you click on “next” here are the screen you will have. 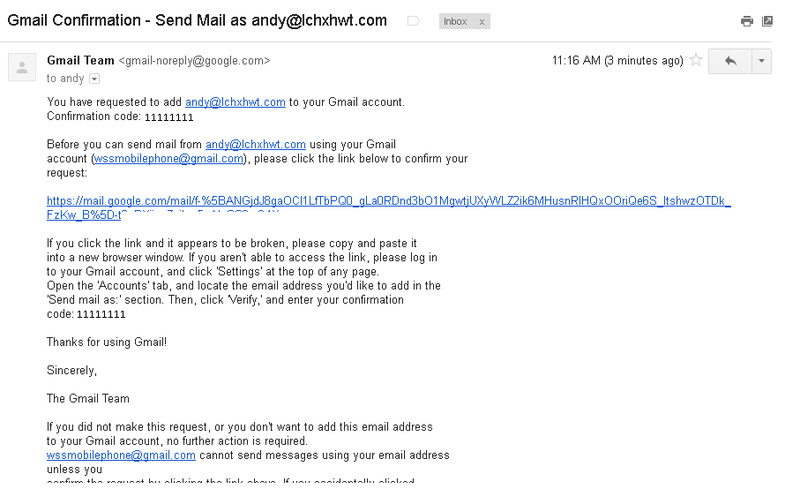 Please put in your user name, password and check. 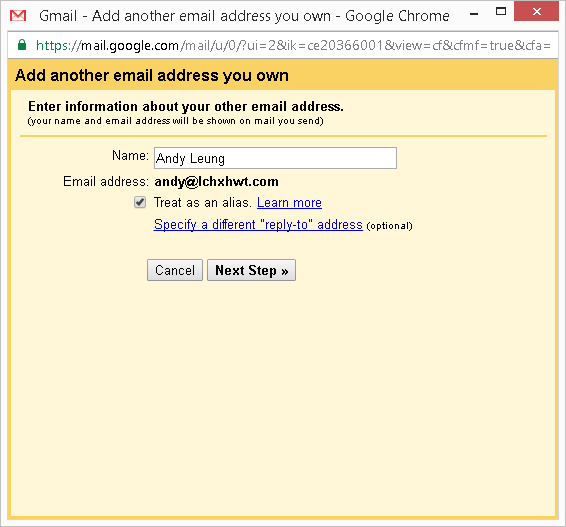 Recommended to use SSL secure connection. 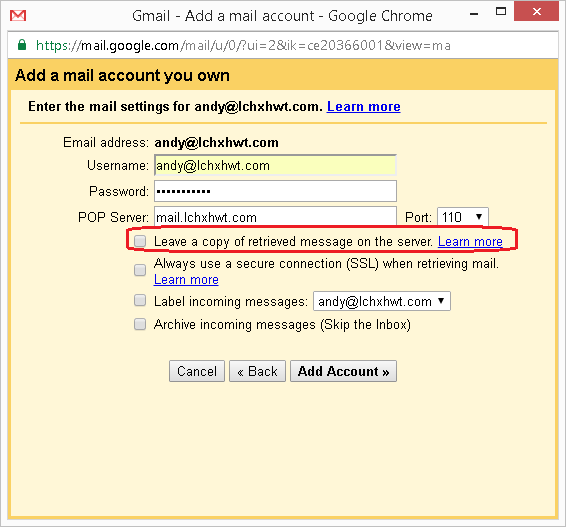 “”Leave a copy of retrieved message on the server” Means keep an email copy on the web mail server. “Label incoming messages” is means make a mark in the email title to define where are the emails from. “Archive incoming messages” Is means you don’t want the email which import form another POP3 account go to your Gmail inbox. Here are the loading screen. The import setting are complete. Please check the name in the box is it correct. 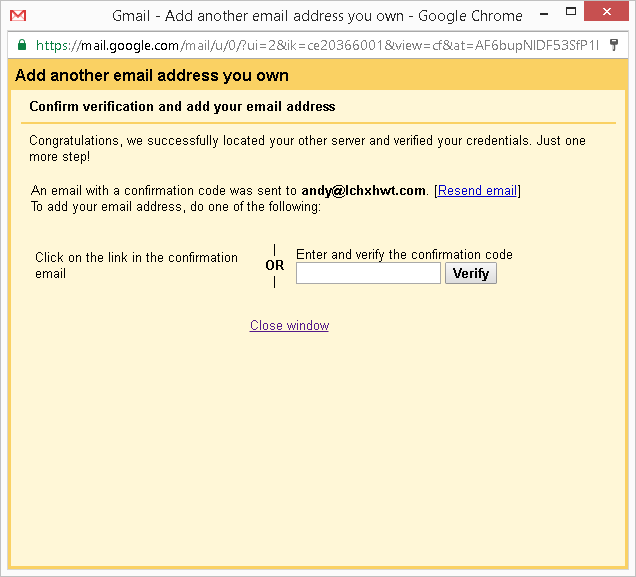 Finally, you may use the confirmation email or using confirmation code, which send by google Gmail. 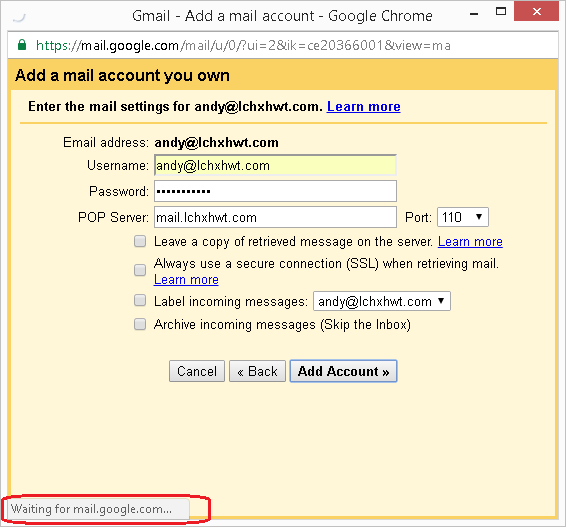 That is the setting about connect another email account in Google Gmail (Personal) account.